WATSONVILLE —For Aptos High School senior Virginia Ontiveros, the week she spent as a seventh-grader in Graniterock’s Algebra Academy was a perfect opportunity to hone her math skills and immerse herself in a subject she loves. Now alumni of the program, Ontiveros applied this year to be a youth mentor for the seventh annual Bruce W. Woolpert Algebra Academy, which lasts through Aug. 12. Ontiveros was chosen from an applicant pool of 30. Mentor Mariana Garcia, a senior at Ceiba College Preparatory Academy, said she wanted to help the students get through the rigorous academics. “When I was here I had a lot of curriculum thrown at me, so I know what these kids are going through,” she said. With five youth mentors, all academy graduates, this was the first year Graniterock has utilized peer-to-peer instruction to such an extent. That was an attempt to help the students learn from other young people with whom they can better relate, said UC Santa Cruz math lecturer Nandini Bhattacharya. Now in her fifth year with the academy, Bhattacharya said the “one-of-a-kind” program helps prepare students for the upper-level classes they will need as they go through middle and high school. It also offers a unique way to move mathematics instruction from rote memorization to a conceptual understanding, she said. The program is taught by professors from UC Santa Cruz and CSU Monterey Bay, and assisted by students from those schools. The program this year also added instructors and shrunk class sizes, allowing five adults for every class of 24, said Graniterock Vice President Kevin Jeffery. To be accepted for the program, students first needed a teacher recommendation and then had to complete an application and go through an interview. Nearly 100 middle school students participated this year. 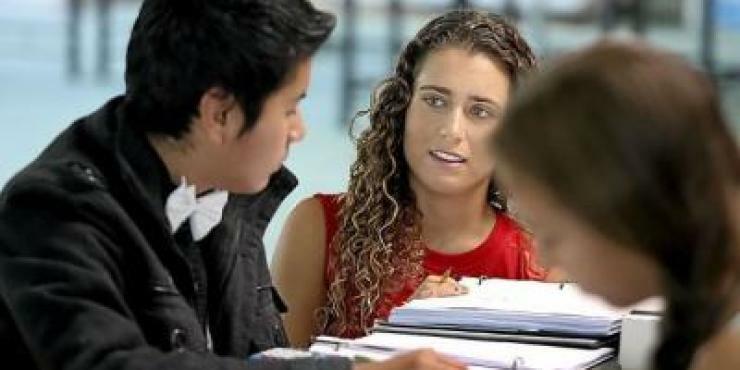 The program includes a guarantee of admission to CSU Monterey Bay to all academy graduates who meet minimum CSU standards. The academy was launched in 2010 by Graniterock’s former President and CEO Bruce Woolpert and Jeffery to serve as an algebra immersion camp. Zayra Ramirez, an E.A. Hall Middle School seventh-grader, said she was glad to be able to bump up her math skills. Xavier Guaracha, 12, said that missing a week of his summer break concerned him not in the least. “I want to be able to say, ‘I can do algebra,’” he said.